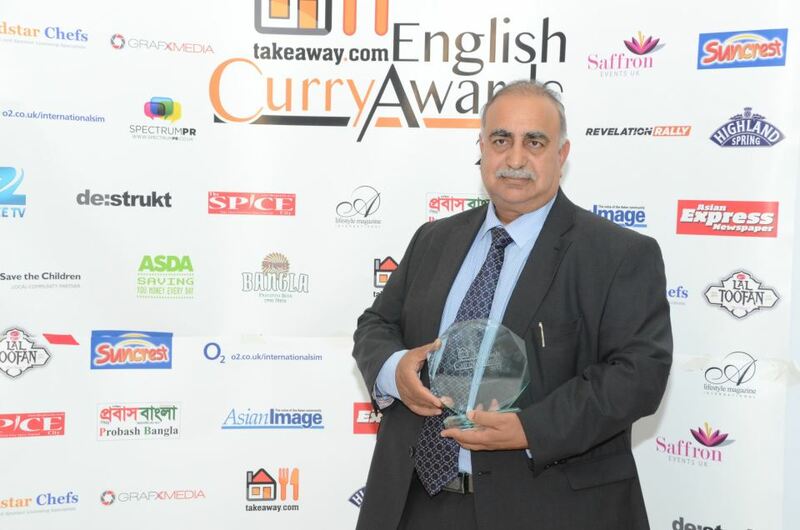 Manchester’s premier Indian Restaurant receives a thoroughly deserved award for “The Best of Manchester” category in the English Curry Awards, sponsored by Zee TV. 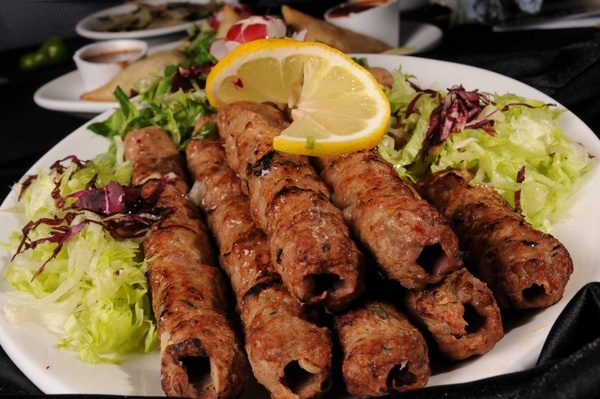 Nawaab’s, a restaurant that prides itself on catering for families. continues to thrive. 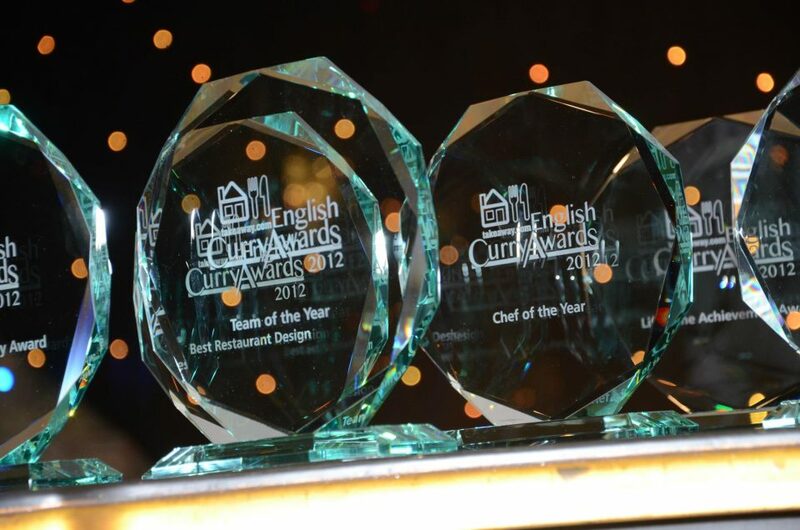 TV celebrities, politicians and sports personalities were in attendance when Nawaab Restaurant took the “Best of Manchester” prize at the English Curry Awards. The awards, celebrating the best of Indian cuisine served throughout the country, were presented by Sunny and Shay from the award winning Channel 4 series, “The Family”. The ceremony took place at the Bolton Excellency Centre. Guests included Yasmin Qureshi, MP; boxer Amir Khan and Emmerdale stars Charley Webb and Matthew Wolfenden. Zee TV sponsored the “Best of Manchester” award which was presented by Sameer Mhatre. 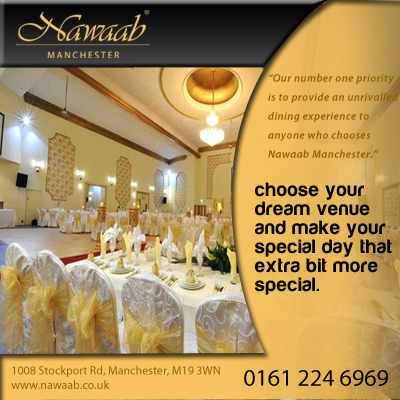 Nawaab’s has been a prominent feature on the Manchester Indian Restaurant scene since 2002. The restaurant regularly caters for families and specialises in catering for weddings and banqueting occasions. The restaurant is always busy, which means the food is always freshly cooked. The restaurant operates a strictly ‘no alcohol’ policy in order to encourage families to relax and enjoy their celebrations. The bar serves an exquisite range of exotic soft drinks to complement the excellent Indian cuisine. The Nawaab Indian Restaurant, Manchester is the flagship Indian Restaurant of a group that started in Bradford over twenty years ago. The building that Nawaab’s occupies in Stockport Road has a colourful history. Its previous uses include an art deco cinema, an Asian wedding hall, a bingo hall, a bowling alley and a cash and carry. 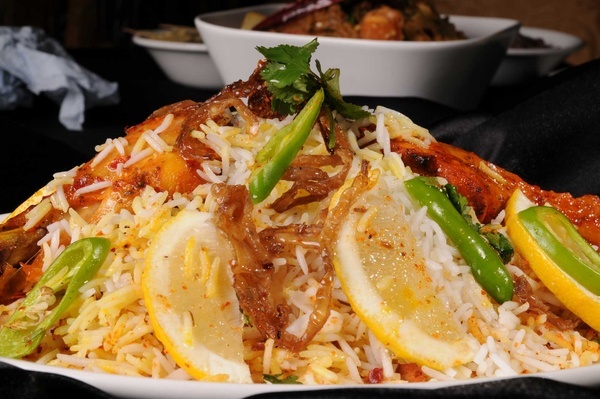 Nawaab’s offers the finest of Indian cuisine. And at £13.95 for as much as you can eat: extremely good value to sample an eclectic mix of oriental aromas and flavors. 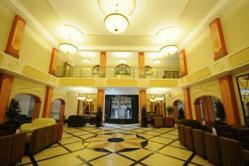 Above the ground floor restaurant, Nawaab’s boasts two sumptuously fitted out banqueting rooms. The Ottoman Suite, on the first floor, seats 700 people and is ideal for weddings, family celebrations, corporate events or work parties. The Persian Suite is situated on the second floor and is suitable for more intimate gatherings, catering for 250 people. Nawaab’s also features a renowned catering team who can expertly organise Indian Food to be served up at outside establishments. Nawaab’s are experienced in catering for events at prestigious venues such as The Dorchester Hotel, London, the Hilton Hotels, Tatton Park and Trafford Park among others. If you have never visited Nawaab’s before, come along; bring the family. You are in for a treat.